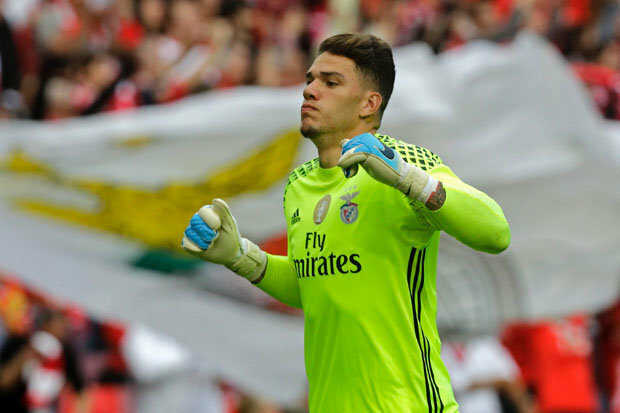 Etihad bosses have agreed personal terms with Ederson and a fee with Benfica for the goalkeeper. Ederson, who will become the most expensive keeper in world football, has even conducted a video interview with the club’s website. But Starsport understands the move is being held up because of the complexities of the Brazilian’s third-party ownership agreement. FA and Premier League bosses are scrutinising the paperwork before permission can be granted for the deal to be ratified. Under Premier League rules, the situation regarding TPO agreements must be resolved before a player can be registered. Etihad chiefs remain confident there will be no problems and that Ederson’s can be announced within the next 48 hours. Ederson, 23, is regarded as one of the best in Europe and is poised to become Pep Guardiola’s second major signing just weeks after the season finished. Guardiola splashed out £43m last week to lure Portugal and Monaco midfielder Bernardo Silva to City. Silva came through the ranks at Benfica alongside Ederson and reckons he will be a huge success with Guardiola’s men. He said: “If he comes, of course I’ll be very happy, because I know him very well.